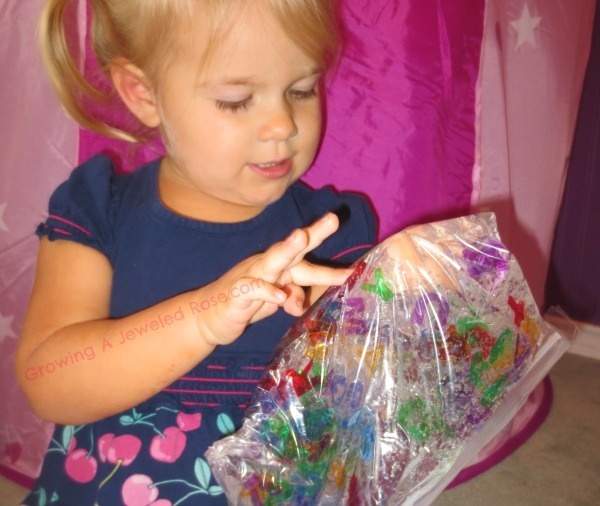 Sensory bags are easy to make and so fun! I myself have a hard time putting them down, you can put anything in them, and once you start making them you might find it quite hard to stop! 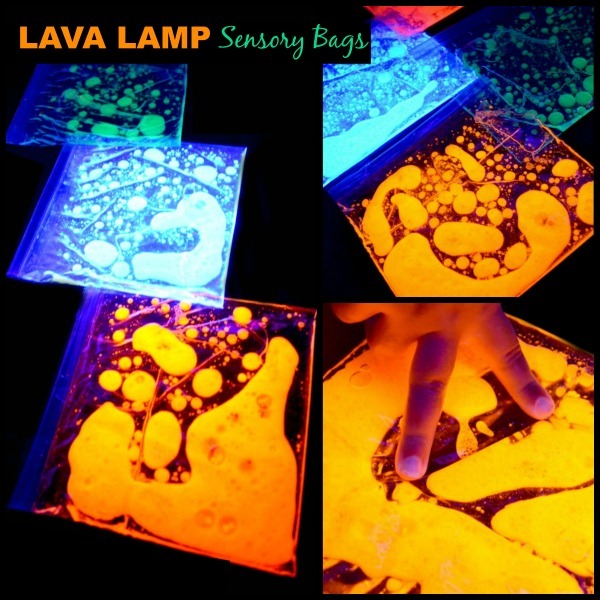 Here are a few of our favorite sensory bags that we have made as well as a bunch of amazing ideas from others! Note: Affiliate links are provided for your convenience. Empty the body wash into the bag. 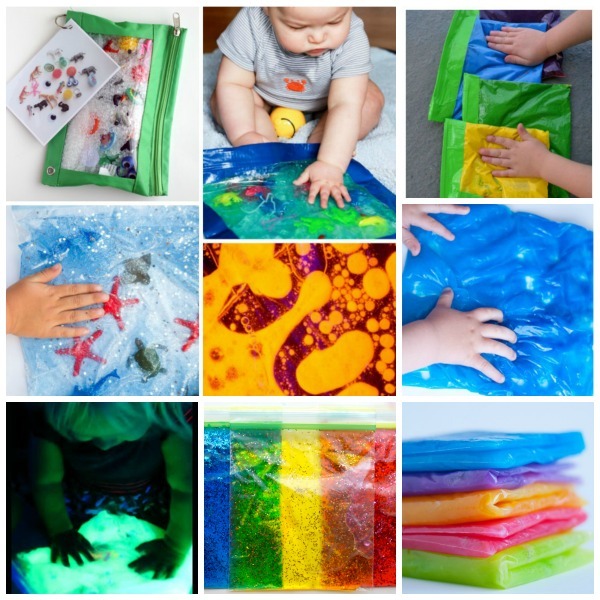 Add the confetti and food coloring if extra color is desired. 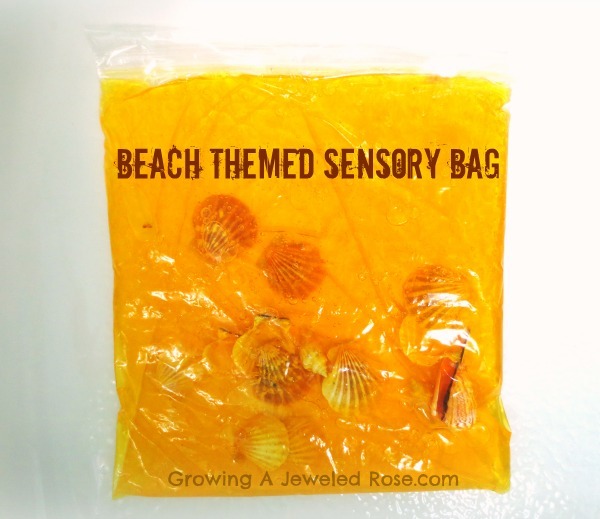 Seal the bag, getting as much of the air out of it as you can. Secure the seal of the bag with packaging tape. Then, it's time to play! 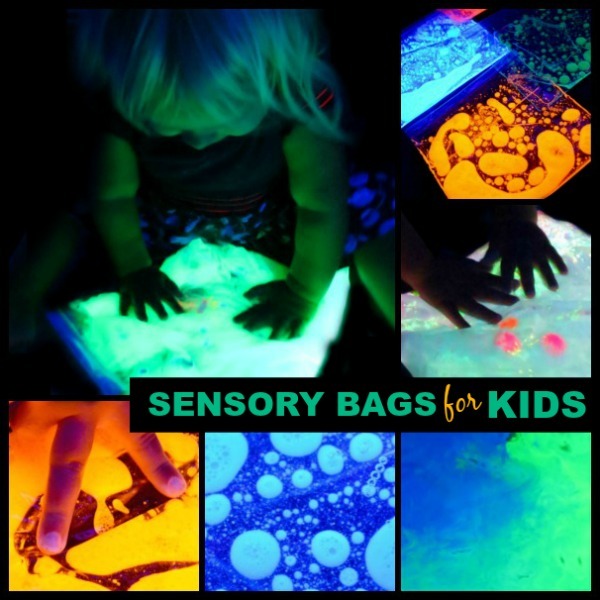 This sensory bag is so fun! 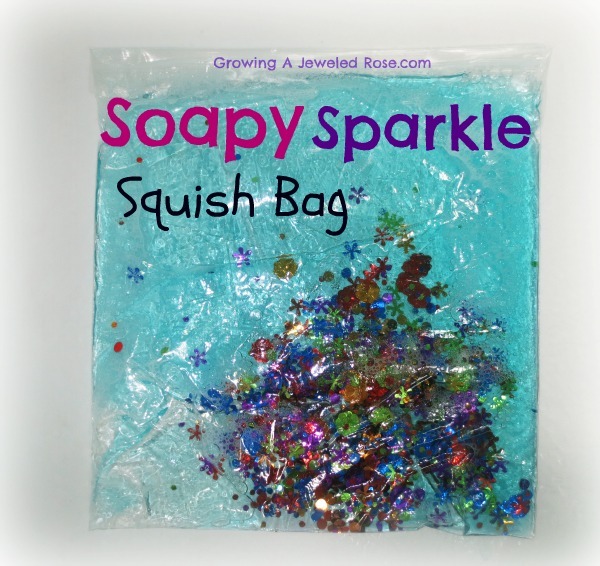 The more it is handled the more soapy bubbles that form, and the best part- they sparkle! 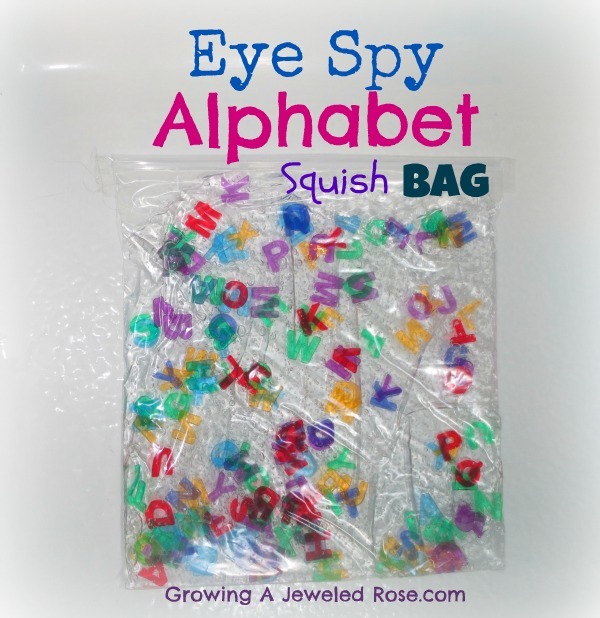 Add the hair gel and the alphabet letters to the bag. Seal & secure the bag, and the fun can begin! As she finds each letter we talk about it's phonetic sound. 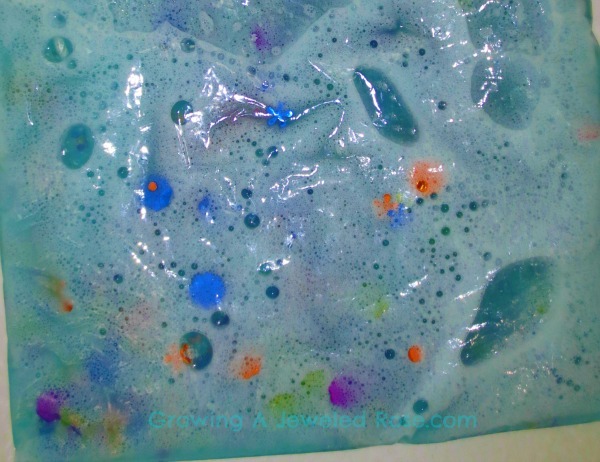 Combine the hair gel with a few drops of blue food coloring in a zip-seal bag. 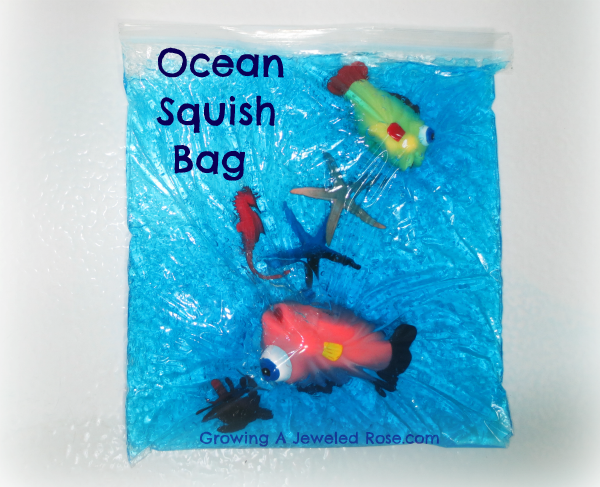 Then, add sea creatures. Seal and secure the bag, and the fun can begin! Rosie loves the feel of the hair gel in the bag. She couldn't stop giggling, and her nose kept crinkling up in the most adorable way! 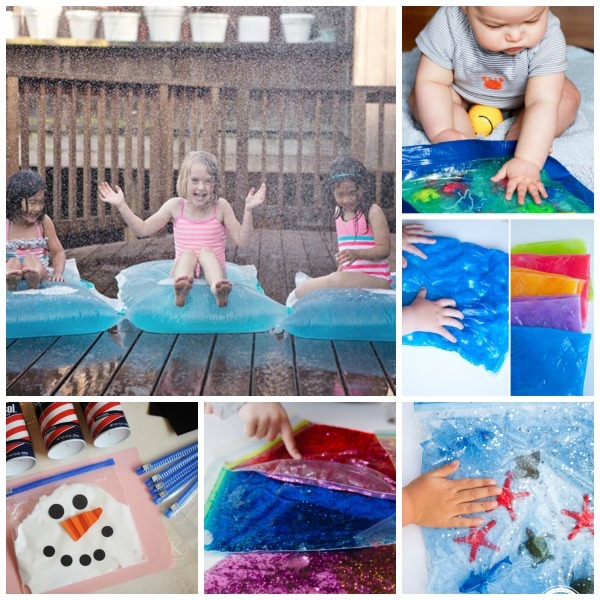 Combine ingredients in a zip-seal bag, secure the bag, and then the kids can play!